A real teacher from France!! 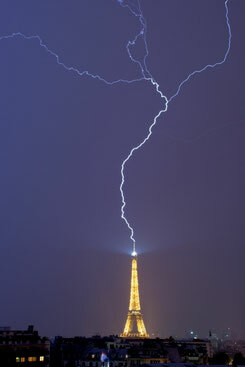 Lightening stricking Mr. Eiffel's tower. No matter what you need to do in French, we can do it all. Learn to speak French for fun. Practise better conversations for adults. Obtain better grades at school. Work or travel freely in Quebec or France. Whatever you want, we will help you. At Smart Tutors, we can do it for you. 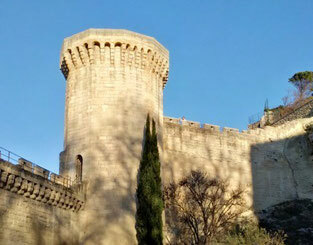 Avignon, France; castle wall and tower. If you look very closely, you will see your French teacher, Nathalie, on the wall on the right hand side of this massage, high tower. 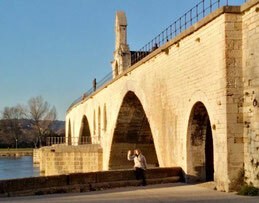 Avignon was once the residence for seven Catholic popes. But wait! You don't have to go to France to learn French. You can learn right here in Calgary where Nathalie normally lives. 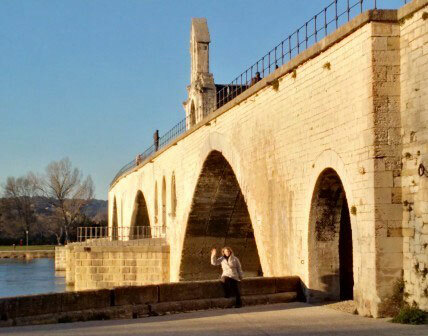 « Sous » la pont d'Avignon. If you don't know about this famous bridge in France, you will. You can't just study a language--you need to study the culture as well.